A curved wall of granite with a bronze relief set into the center. 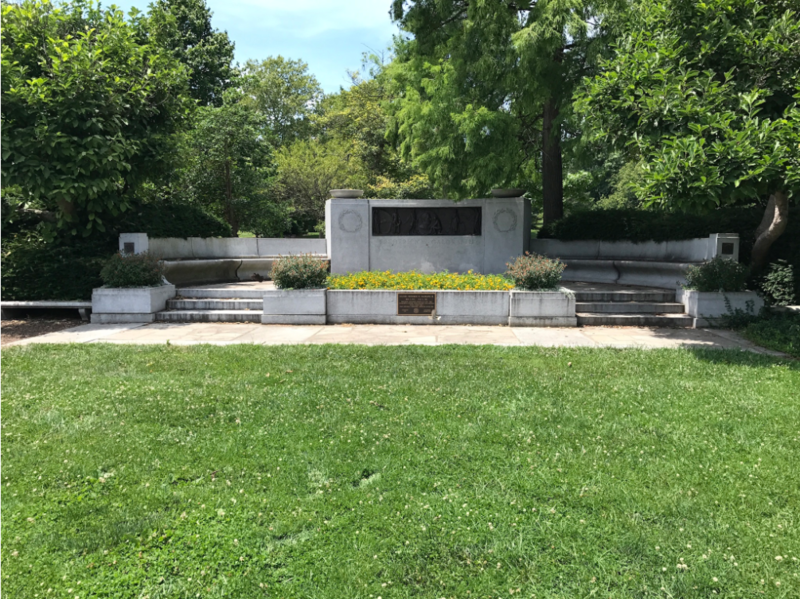 Depicted are WWI soldiers, a sailor, a nurse and two angels. 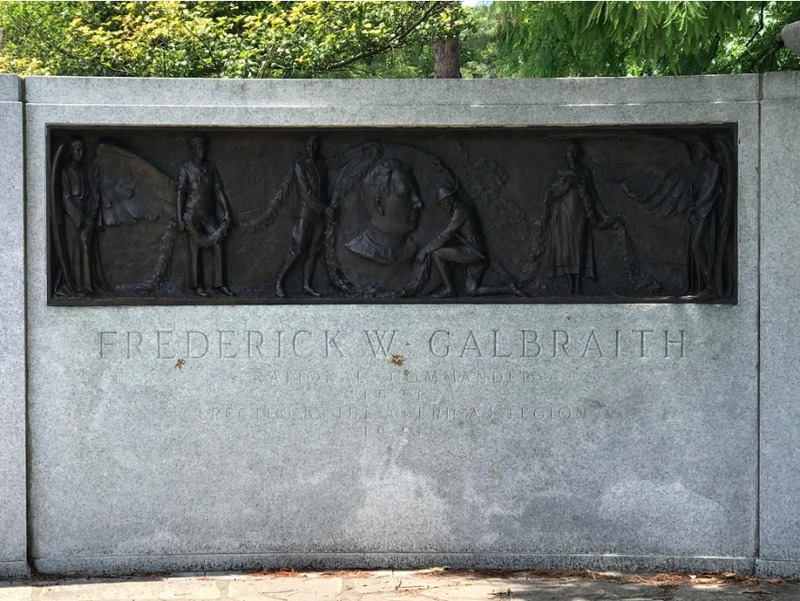 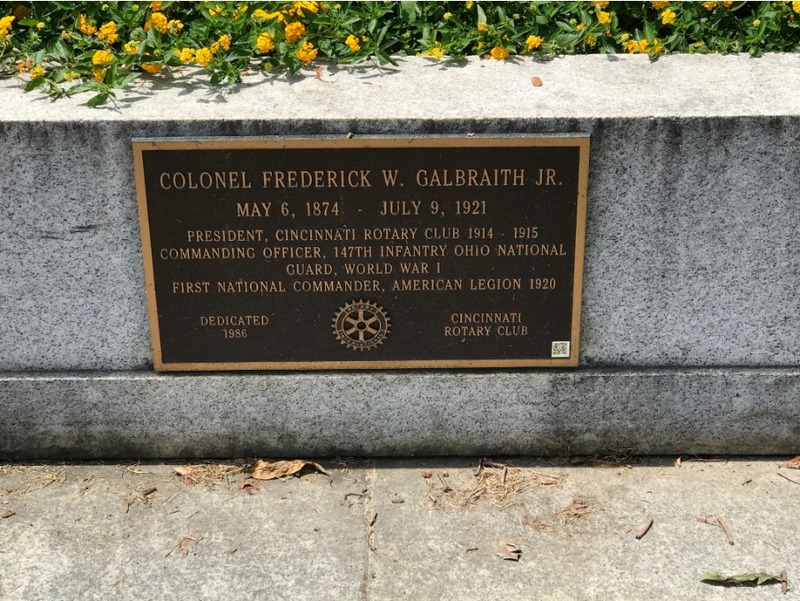 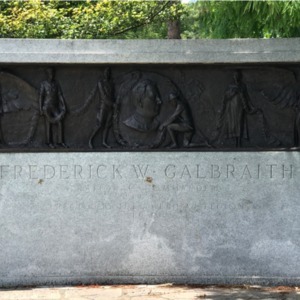 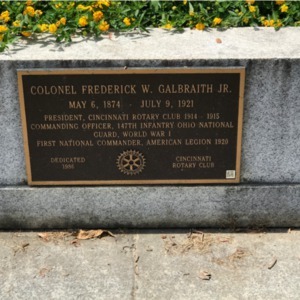 : Clement J. Barnhorn, “Frederick W. Galbraith Memorial,” Ohio Outdoor Sculpture Inventory, accessed April 22, 2019, http://oosi.sculpturecenter.org/items/show/452.